A central Ohio developer has stepped up to restore the dilapidated office building at 350 W. Wilson Bridge Road, with some financial help by the city of Worthington. Trivium Development LLC, headed by President Tim Spencer, plans to purchase the property for just under $2 million and redevelop the site into a three-story medical complex, with the Central Ohio Urology Group as its first tenant on the first floor. As part of a deal that Economic Development Manager Jeff Harris said he was “thrilled to bring to council,” the city will offer a tax increment financing agreement along with more than $200,000 in grant funding to help the project. With the TIF, scheduled for a public hearing Oct. 15, the city will redirect 75 percent of the site’s property taxes into a separate account. Those funds will be given back to Trivium in installments twice each year. Harris said the city expects that revenue to reach about $830,000, which will be used to bring the building up to Americans with Disabilities Act standards, as well as to construct stairways, elevators and restrooms and renovate storm sewers and the building’s parking lot. Trivium also will receive $660,000 in grant funding from Franklin County. City staff estimated that the company’s investment will be nearly $6 million in acquisition and construction costs alone. Spencer said that number is “ultra-conservative,” and estimated that costs would likely exceed $8 million, in light of the building’s “concrete skeleton,” which prevents it from being entirely demolished. City staff and council members didn’t hide their excitement for the project, which will eliminate an eyesore, add to the city’s tax base and give residents another medical option. 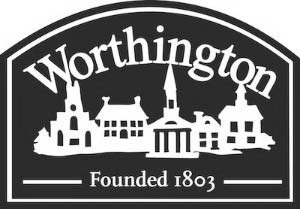 Councilman Bob Chosy expressed concerns over the similarly promising outlook of the Shops at Worthington Place, where another TIF and economic impact were incorrectly estimated. But city staff members promised that this project was less speculative, and Harris said “there’s no special algorithm” to gauging the success. “What happened there was that the city staff team, with estimates and hard work, estimated growth of a certain amount over time … and at the end of the day, we never saw that value,” he said of the Shops. Spencer, who expects to close the deal on the site soon, said construction is planned for this fall, with hopes to wrap up by the end of 2016. A preliminary plan for the building will likely be in front of the city’s planning commission within 45 days. While the process will be a long one, it’s being met with optimism from council and staff. With Harris leaving next month for his new position with the Knox County Area Development Foundation, the Trivium development may be the crown jewel of his time in Worthington. Michael said the city would not have been able to bring the project to town without him. “We couldn’t have gotten our arms around something like this, let alone completed it,” she said.